Enchanted Island is a unique amusement park located in Phoenix, Arizona. 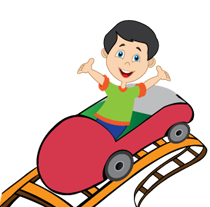 What makes it so special is that it is geared for kids age 10 and under who normally wouldn’t be able to have as much fun at other theme parks. Though the park is designed for kids, adults will still have fun as well. Enchanted island features lots of fun attractions such as a vintage carousel, pedal boat rides, bumper boats and much more. Admission to the park is always free, you simply pay for the rides and attractions you want to enjoy. So anyone in Arizona looking to have some fun with the kids should pay a visit to Enchanted Island.